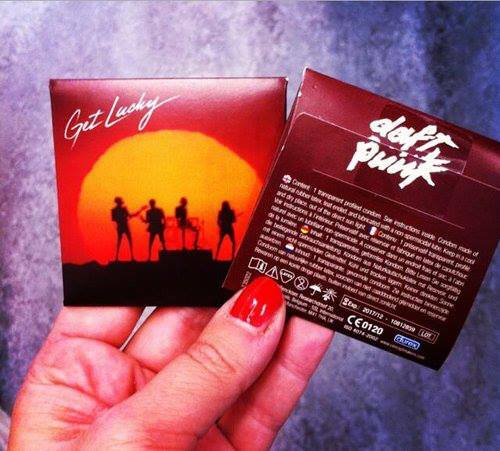 "Get Lucky" condoms in honor of Daft Punk's latest hit. Brilliant and retro-luxurious. Hmmm...I wonder how lucky anyone could be upon using this.